Franklin & Marshall – Common Hour Speaker: You’re Talented. Now What Will You Do With That Talent? Common Hour Speaker: You’re Talented. Now What Will You Do With That Talent? 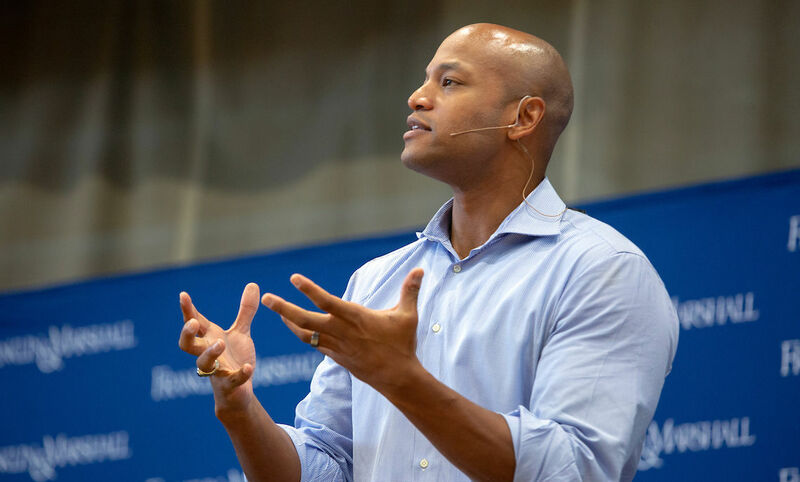 Author and social entrepreneur Wes Moore, whose book, “The Other Wes Moore,” reached the bestseller lists for its unvarnished examination of the fine line between success and failure, posed questions Sept. 13 about the post-graduate future of Franklin & Marshall College students. “What exactly does it mean to be talented and what exactly are we doing with those talents?” Moore said at Common Hour, a community conversation conducted every Thursday classes are in session during the academic year. Moore, a combat veteran and head of one of the largest anti-poverty forces in the nation, was invited to speak on campus as a part of The Mehlman Talent Initiative at F&M, which identifies teaching and mentoring techniques that help students who prevailed over challenging life circumstances to thrive in college and beyond. From his early college years – the Baltimore-born, Bronx-raised Moore studied international relations and economics at Johns Hopkins University and, as a Rhodes scholar, Oxford University – Moore recalled the persistent question about what he was majoring in. Seventeen years after finishing his undergraduate experience, no one asks him what his major was in college. He realized long ago, he said, the question didn’t matter, but his education, and what he would do with it, did. As a political analyst who appears as a guest on the MSNBC program, “Morning Joe,” Moore illustrated his point by discussing a segment a few years ago when he interviewed acclaimed singer and actor Harry Belafonte. He asked the entertainer, now 91, why he risked his career as a social activist.